Rajshahi Kings are trying to rope in Mushfiqur Rahim for BPL 5. West Indian players are a must-have in any T20 team. With the all round abilities, they add to the strength of the team quite comprehensively. One such player who is an asset to any T20 team playing in any franchise league over the world is Darren Sammy. Sammy is a well-traveled cricketer and features in many T20 leagues like the Indian Premier League, Pakistan Super League and Bangladesh Premier League. Sammy didn’t feature in any IPL game this year for the Kings XI Punjab, but he is a vital cog in the Rajshahi Kings team which competes in the BPL. The Caribbean maestro captained the side last year and was roped in by the Kings for this year’s BPL as well. But he has decided to skip the fifth edition of Bangladesh’s cricket extravaganza. South Africa is launching their own franchise league called the T20 Global League. Sammy has his preference sorted and is all set to play in that league. 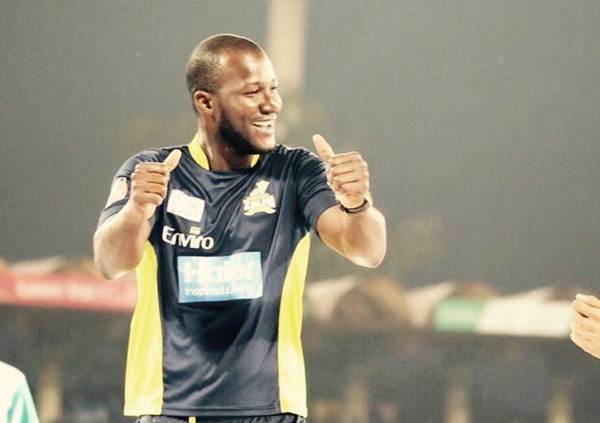 The 33-year old experienced all-rounder is the captain of Pakistan Super League (PSL) winners Peshawar Zalmi. The Zalmi franchise has bought a team in the T20 Global League and handed the player from St Lucia a request to feature for their team. Sammy has agreed to strike a deal with Zalmi and hence will skip BPL 5. Sammy has left his boots vacant and those are some great boots to fill. The team management of Rajshahi Kings is trying to rope in Bangladesh’s Test team captain Mushfiqur Rahim as the leader of the side. If the rumors are to be believed, Rahim is very close to signing a deal with the Kings. However, an official announcement has not been made yet by the franchise yet but it may come anytime soon.